SAN JOSE, Calif. (KGO) -- Four hundred people teamed up to provide a bountiful Thanksgiving for families across the South Bay, as volunteers of all ages filled boxes with food for needy families. 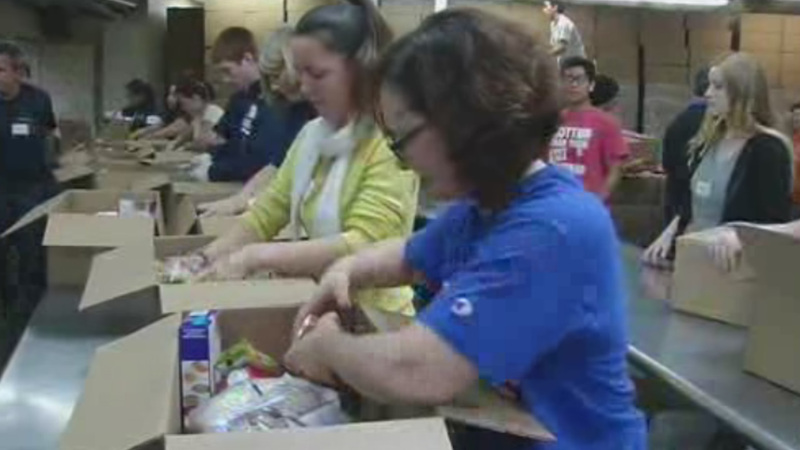 Sacred Heart Community Service will give out 4,200 boxes to needy families just in time for Thanksgiving. Each family will also get a turkey. But Sacred Heart needs about 1,500 more turkeys. "We are asking everyone if they can come down and bring a turkey or donate online so we make the purchases of the turkeys," said Morgan Wordes, with Sacred Heart. If you'd like to donate, there is a link on the Sacred Heart website.